Huber's is family owned and operated and we work hard to give you an honest, painless vehicle purchasing experience, while not sacrificing quality and affordability. We know everyone wants reliable transportation with a trust worthy mechanic to keep their car maintained for many years of enjoyable driving. New Car dealers can do this, but many of us can not afford their prices. Our experienced team is committed to giving you a "New Car" dealer alternative. Great service, Great prices, no hassle straight forward dealing. Our Sales Department consists of friendly and knowledgeable staff with no high pressure sales. Don't settle for other dealer's quickie services and "inspections", with only the bare minimum repairs completed. Our certified pre-owned cars have all manufacturers recommended services and maintenance completed. Not just an oil change and inspection but many small details and services that make our cars a smart choice. We will show you what we did to make the car "100% ready to go", and we back up our work with our personal guarantee, “Certified Pre-Owned warranty” by and from the Huber’s on all qualifying cars. View our inventory. Our Service Department is licensed, and insured Pa state inspection, and Emission inspection station, and we have all the lastest computers and information for diagnostic and programming that wouldn't waste your time. We specialize in European car repair, service, parts, and sales including Volkswagen, VW, Audi, BMW, Mini Cooper, Mercedes and Volvo service and parts, but have expanded to include services for all makes and models, import and domestic, to better serve our customers. 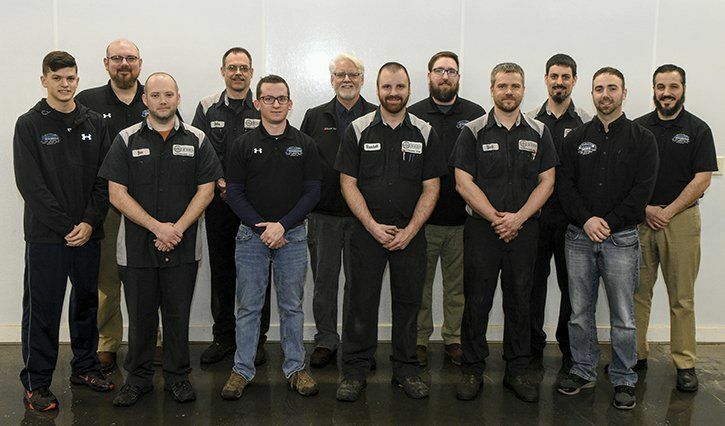 Our experienced Staff knows what it takes to maintain today highly precise and technical cars. All scheduled maintenance and repairs are performed using hi-grade German parts such as Bosch, Sachs, Mann, and Boge, often upgrading components to a higher performance standard. We also use high quality turbo formulated Synthetic oil required in many of European car's powerful Turbo Diesel and gas engines as recommended by the manufacturer. Our Rental Department has clean, reliable vehicles for all your transportation needs. Our rentals include Volkswagen Jetta and Passat with comfort and Great Fuel mileage, Luxury Mini Van rentals with DVD entertainment and Navigation for those long trips, Luxury Hi Top conversion vans with huge flat screen DVD systems and comfortable interior space, 12 passenger vans, 15 passenger vans, Full size pick up trucks, Mid size pick up trucks, 8 Passenger 4x4 SUV 's, Cargo trailers, and Car trailers. We look forward to serving you here in Ephrata. Call us at 717-733-2631. 1972 - Earl Huber (president and service manager of Huber's Auto Group) started his career as a Volkswagen / Audi mechanic. 1980 - Alan and Earl Huber dba Huber Auto Sales and Service located on spruce road near New Holland. Earl served there as service manager for 18 years. 1998 - Earl opened Earl Huber Automotive Inc., located between Adamstown, and Bowmansville, specializing in VW and Audi service. 2000 - Huber Auto Service on Spruce rd was closed and Huber Auto Sales was taken over by a new owner. 2004 - Eric and Earl Open Huber's Auto Group in Brickerville / Lititz PA, Specializing in European cars sales, and Auto rentals. 2006 - Earl Huber Automotive and Huber's Auto Group move and combined their services to give you the new Huber's Auto Group on RT 272 in Ephrata, offering a one stop automotive center for auto sales, service, parts and rentals. 2016 - Expansion adding a new recon facility, a wash bay, and 2 more service bays that can accommodate larger commercial vehicles like high roof and long wheel base sprinter and box trucks. 2019 - Office expansion coming soon, with a improved waiting area and more office space to serve you better. ** Volkswagen service and Audi service are still our specialty, but we have expanded to include both foreign and domestic service and have the latest computer and diagnostic equipment and experienced technicians to serve you.